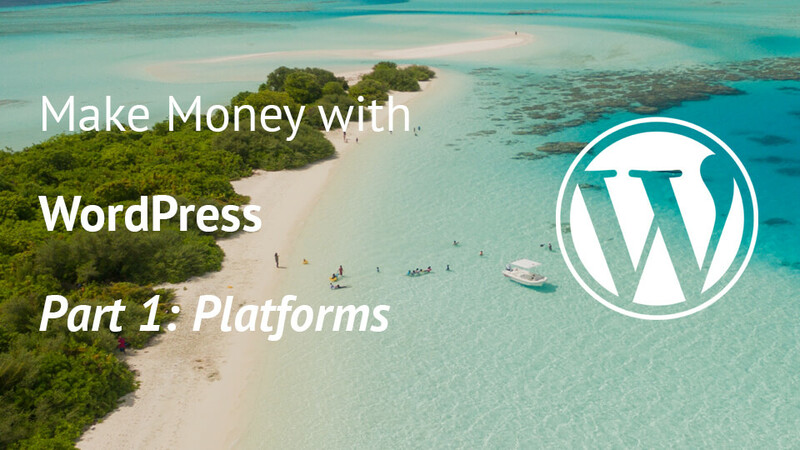 Learn how to make money with WordPress by selling your own plugins or themes. In this article, I’ll talk about which approaches you can use to sell your own products and present you the options you could use. 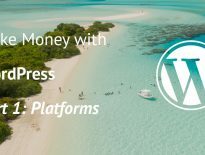 In the last article, I have talked about Make Money with WordPress – Part 1: Platforms where you could learn how to make money as a freelancer on various platforms that are good to find new clients. In this video, I will talk about earning money by selling your own WordPress products. Those products would be themes and plugins. There are also other services which you can offer as part of your WordPress business, but that is not intended for this video. Marketplaces such as ThemeForest, Codecanyon, Mojothemes & similar are sites where you can sell your own WordPress themes or plugins. The best part here is the fact that these marketplaces are well established and they do already have a high number of visitors. That way, you may get sales without doing marketing. The downside of such sites is that you will have to give them a cut of your sales. A popular cut is 50-75% where you are going to get a higher percentage as your product is sold. But that is only if you are going to sell your product only on their marketplace. If you want to sell it elsewhere, you’ll get a fixed lower percentage. The lower one is somewhere around 50% or even less. Since I have only tried Themeforest & Codecanyon I’ll just tell the process of uploading your product there. You have to read their guidelines to prepare your main files. You don’t want them to reject you just because you were lazy preparing such files. Write the documentation, prepare some screenshots, create the thumbnail and the cover photo. Once you have done all that, you will upload them on their site and enter everything you need there. Be descriptive & also write a good note to the reviewer (even ask question if you have any). After the upload, you will have to wait until they review it. Sometimes, that will require even a week or more. After everything has been reviewed, you will get further instructions if it failed or have it listed on the marketplace. If you want to sell everything on your own, you can. You just have to set up a site where you’ll sell the products and choose the right plugins that will do the work. When selling premium plugins, you will have to provide a way to support your customers. This can be done using a plugin to create the forum such as bbPress or you might consider a ticketing system such as Awesome Support. Freemium model is also a very popular one in the WordPress community. If you don’t know what that is, you can just check the WooCommerce and their extensions. 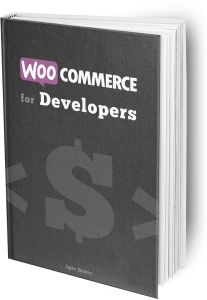 The free part of that is the WooCommerce itself which gives you a complete eCommerce product. The premium part is their paid extensions which provides you with some additional & advanced features such as selling subscriptions or bookings. I have also a somewhat freemium model for my Simple Giveaways plugin. There is a free version which gives you everything you need to run giveaways. But I have also a premium version which will get you more features. To offer a freemium product, you can use the same approach as for the premium plugins or themes. You might also want to check on Freemius. Freemius is also a complete solution to offer such model. They even provide you with a SDK which you can integrate within your product in minutes. After that, you can just push the complete plugin (Premium version) to their system and they will extract the premium stuff to give you 2 versions (free & premium). 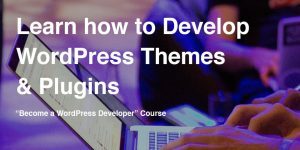 The free version can then be pushed to the WordPress repository. You can earn some real money when selling WordPress Products but you will first have a hard time getting customers. But don’t be discouraged. It is fun to offer free & premium products. I have so much fun working on Simple Giveaways, both free & premium. You just have to find time to offer support even to the users of your free version. They will get you many new ideas!